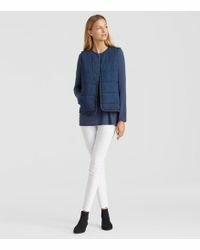 After graduating from the University of Illinois, Chicago-born designer Eileen Fisher moved to New York to pursue her fashion career. 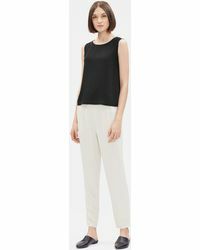 A former interior designer, Fisher launched her eponymous clothing label in 1984 and quickly earned a reputation for her timeless, classic designs. 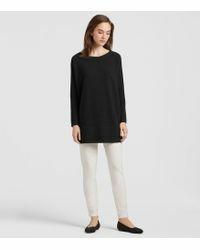 Give your casual collection a sophisticated edge with the Eileen Fisher tops collection. 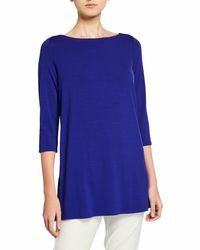 With silk peplum tanks, sheer ballet ponchos, and textured box tops, there's a style for every occasion.